Longford Estates and St Nicholas Hospital are developing plans for an exemplary residential development on land off Britford Lane in Salisbury. We are committed to raising the bar in terms of a design-led, bespoke, quality development that the community can be proud of. Involving the community in this project to bring benefit to the local area is of great importance and we want to inform the residents of Salisbury at an early stage. There is an acknowledged need for further housing throughout the UK. 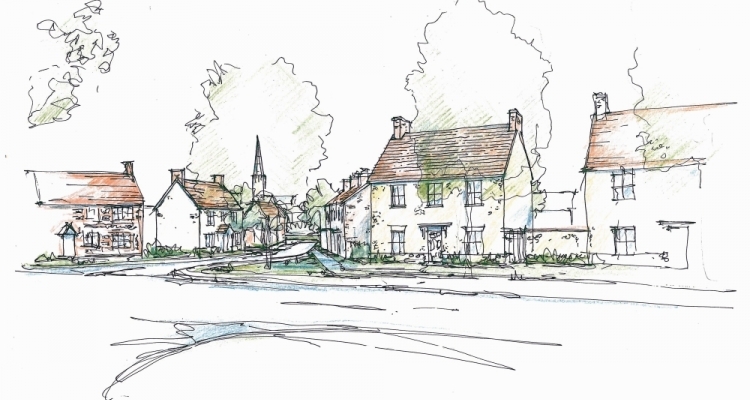 Wiltshire is no exception and, like all other local authorities, has a Government target to find land for new homes, with the focus being on towns and cities. This includes Salisbury, which needs to find space for hundreds of new homes over the coming years. The site has been promoted through the Strategic Housing Land Availability Assessment (SHLAA) and is currently identified as a potential housing site in the emerging Site Allocations Development Plan Document. The development site benefits from being located in a highly sustainable position, outside the Environment Agency’s designated flood zones offering a unique opportunity to provide a range of both open market and affordable housing in Salisbury. Importantly, the proposed development does not sit on water-meadows. We are committed to delivering a comprehensive development and have undertaken significant technical studies to ensure this site is suitable for development. Given our commitment to the area, the community should be assured that this development would not be a ‘typical’ housing scheme and will set a benchmark for design quality. As part of our community engagement, we have undertaken a series of public exhibitions to display our proposals for the development of much needed new homes in Salisbury. Members of the project team were on hand to discuss our intentions for this scheme, answer questions as well as receive your feedback. Further information can be found on the exhibition invitation newsletter. Click here to download. We would like to thank all those that attended the exhibitions and provided us with their thoughts. We are currently undertaking a detailed analysis of the feedback received and will take the information provided into account as we further develop the scheme. We will provide an update on our proposed next steps in due course.